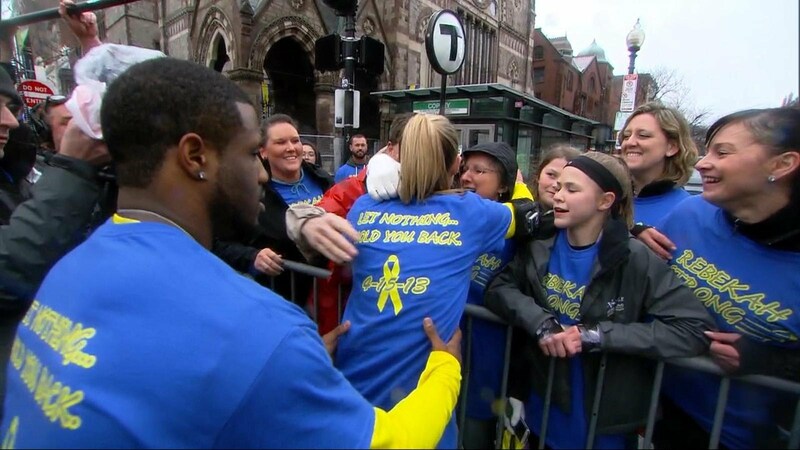 2 years ago the Boston Marathon was hit by a terrorist, the bombings killed 3 persons and injured over 200 more! For some, a lot, too many of the survivors amputation was mandatory, taking part of their lives, like Adrianne Haslet that screamed to save her leg for her life was dancing. Rebekah Gregory was another of those persons but, between the tragedy and amputation, she found Pete DiMartino, another victim, that got married about a year ago. In the 2015 Boston Marathon Rebekah returned to the starting point, runned the marathon again, with a prosthetic leg and was overwhelmed with the emotions after crossing the finnish line. As she said, that was the day she gained her life back, a hero and a life example on how to react to adversity! But she isn’t the only one. Heather Abbott also lost one of her legs and decided to create a foundation to help other amputees. What each of these survivors has been doing since the tragedy show how much stronger we are than what we think, how one can react to something that can destroy our lives, that makes us change everything.